It is no longer a rumour. Former Ugandan Vice President, Prof. Gilbert Bukenya is in Lusira government prison. He was remanded on Monday after a local Kampala Magistrate committed him to the High Court for trial. What did this high and mighty Vice President do to deserve being locked up at a local prison cell with common criminals as he waits for his day in court? The charge sheet dated October 3 2011 makes interesting reading but states nothing earth breaking as such type of crimes have faced equally high profile personalities in Kenya and Tanzania; only that in the two countries, nobody has dared to take the big fish to court. In the Kenyan case, we had a very cunning Attorney General who had perfected the art of acquitting such suspects on grounds that there was no sufficient evidence to sustain the charges and obtain a conviction. In the Ugandan case, Prof Gilbert Bukenya has been charged with abuse of office contrary to Section II of the Anti-Corruption Act 2009 of Uganda. 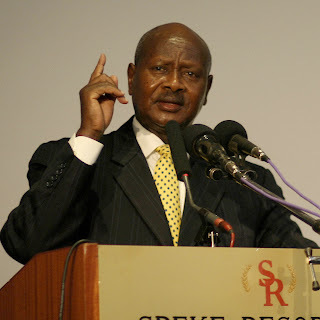 The charge sheet states that as Vice President of the Republic of Uganda and as Chair of the Commonwealth Heads of Government Meeting (CHOGM) Cabinet Sub Committee, he on various dates between December 2006 and November 2007 within Kampala District,he unlawfully and high handedly committed acts prejudicial to the interests of the Uganda Government in abuse of his office. He is accused of influencing and directing the award of the contract for the supply of Executive Vehicles intended for use during the CHOGM 2007 to Motorcare Uganda Limited in total disregard of the laws, regulations and practices governing Public Procurements in the Republic of Uganda. The dispute arose after a government set up Tender Committee that was also chaired by Professor Gilbert Bukenya had awarded the same tender to another Ugandan company, Spear Motors Limited in an open international tender process. It was this blatant disregard for the legal process, the cancellation of the tender to Spear Motors under unclear circumstances that forced Spear Motors to challenge the decision to cancel their contract. No matter which way this case goes, it is a landmark charge that all of us in East Africa must watch and see how it goes. Its importance lies in the fact that for the first time in our region, the fight against official corruption; the fight against impunity and abuse of office has taken a new level. It hits at the heart of Executive power. However, the mere fact that President Kagutha Museveni has allowed his Vice President to be dragged to a court of law and face charges as an individual speaks volumes about corruption crimes. 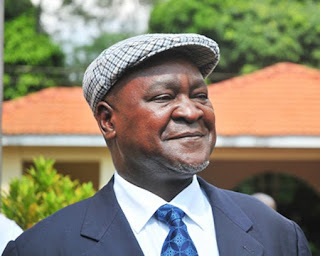 Some pundits may argue that President Museveni has used Gilbert Bukenya as the fall guy- the sacrificial lamb for crime that could very easily have been a group act however, when a well educated adult allows himself to be used in acts that go against the law of the land; it is only proper that such a person should face the law as an individual as a lesson to the rest of society. Between 1992 and 2009, Kenya has witnessed earth-breaking economic crimes that at one point involved Kenyan Asians in their ‘20s. These crooks used top government officials such as ministers for Finance, Permanent secretaries for Finance and at one time the Vice President and Governor of the Central Bank. The cases that come to mind are the Golden Berg of the 1990s, Anglo Leasing scams of the early Kibaki regime and lately the Maize and Oil scandals of the Coalition regime. In all these cases, investigations have been carried out by multiple state agencies without any single individual being committed to jail or fined despite the fact that the country lost billions of dollars to individuals in these scams. Never mind that in the last two decades, the Government of Kenya has thrice established an Anti-Corruption Authority and paid millions of Kenya shillings to such bodies to fight graft. In the three occasions when we have had an Anti –graft Chief, each of them has been hounded out of office unceremoniously either by the judicial system or Parliament itself. These incidents only went to prove one thing- that corruption is deeply entrenched in the Kenyan society and that no amount of political rhetoric would shake that culture. In 2008, corruption scandals engulfed Jakaya Kikwete’s young government. The fallout was so big that Kikwete was forced to send the entire cabinet packing. Despite the hue and cry about corrupt deals that involved the then Governor of the Central Bank, the then Prime Minister and senior top dogs in the government, not a single senior government official has ever been prosecuted; not even the Governor of the Central Bank who ended up dying outside the country after having been accused of turning his private residence into a mini Central Bank. These case studies are the reason we in East Africa are keen to see if Uganda will be the first country in our region to successfully prosecute a top government official and prove to us that the law is the law irrespective of our status in society. Let Professor Gilbert Bukenya be an example to us all and a lesson that crime never pays; it only diminishes our stature in life.